One of the best ways to get kids interested in birds is to get them working on a fun bird project. 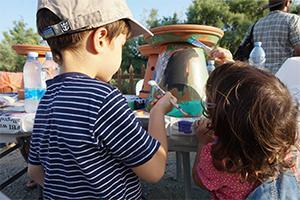 Our friends at BirdLife International have some great ideas that kids can do themselves. And they can reap the reward of learning about and doing something to help birds. From making your own bird feeder, swallow house, treat feeder, or even bird bath to playing a really fun game – there are interesting and productive things to do for kids of all ages. The days of summer are nearly over, so before kids go back to school is the perfect time to do a little birdcrafting.